"But the only alternative to new Cabinet was early elections"
MP Hennadiy Tkachuk (BPP) believes that many members of new Cabinet of Ministers do not live up to the level of ministers. "The coalition does exist. The house is divided almost half by half:.. Coalition has 230 seats, the opposition (Oppoblok, Self-Help, Fatherland, Radical Party, non-afiliated etc.) about 200 seats. This is not the first time in our history. 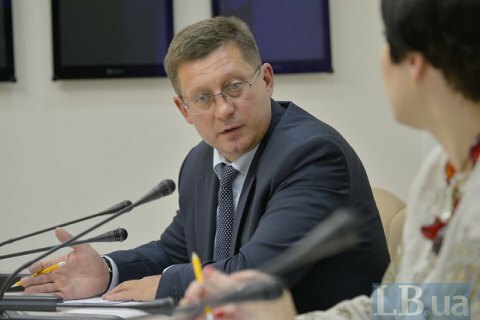 If you will recall 2006 or 2007, the situation was almost the same, but I think there was no alternative to a new cabinet, even though I agree that a lot of people out there do not live up to the level of ministers," the lawmakers said at the round table "How effective will the new Cabinet of Ministers of Ukraine be?" hosted and organized by Gorshenin Institute. Tkachuk refrained from mentioning any names, though. On 14 April, the Verkhovna Rada approved the composition of the new Cabinet, which included a number of previously little-known people, such as the deputy mayor of Vinnytsya, Andriy Reva, the chief of staff of the Verkhovna Rada Speaker, Oleksandr Sayenko, or Vadym Chernysh, who headed the Agency for Donbas Issues.